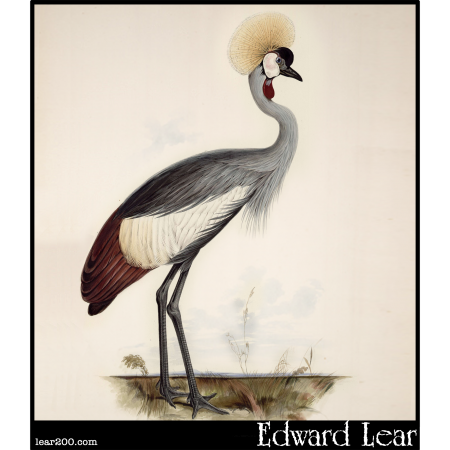 Wattled Crown Crane | Edward Lear: Two Hundred Years of Nonsense! Wattled Crown Crane. (Balearica regulorum.) Now called "Wattled Crowned Crane".